It’s been busy over here the last few months but last night I was able to get back into the kitchen and make something new. 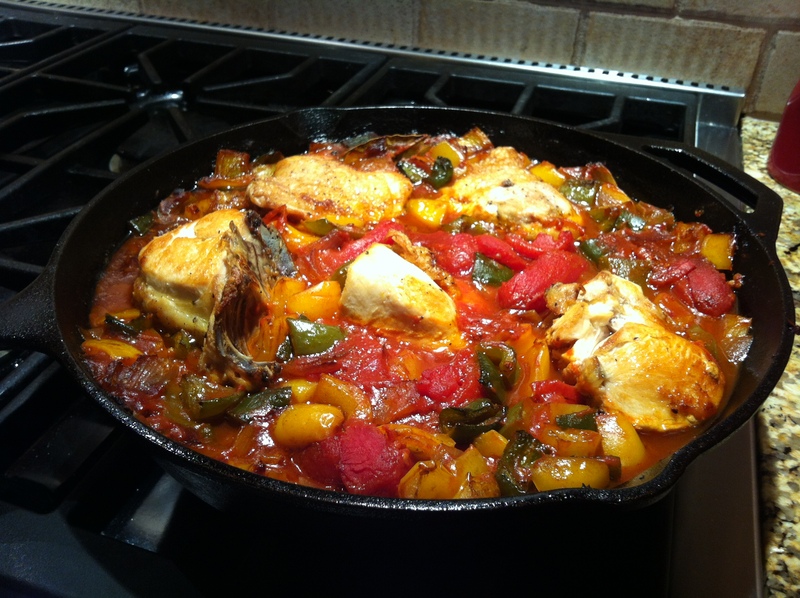 This is a spicy Italian chicken dish that is quite fun to put together. 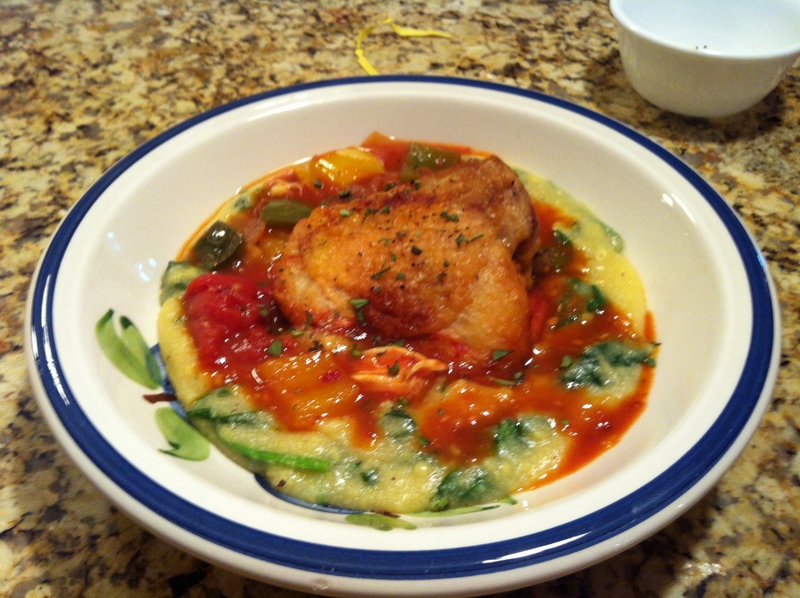 I chose to serve it over polenta but it would also work over pasta. Give it a try and stay tuned for more posts. Smartchef Blog is back up and running! 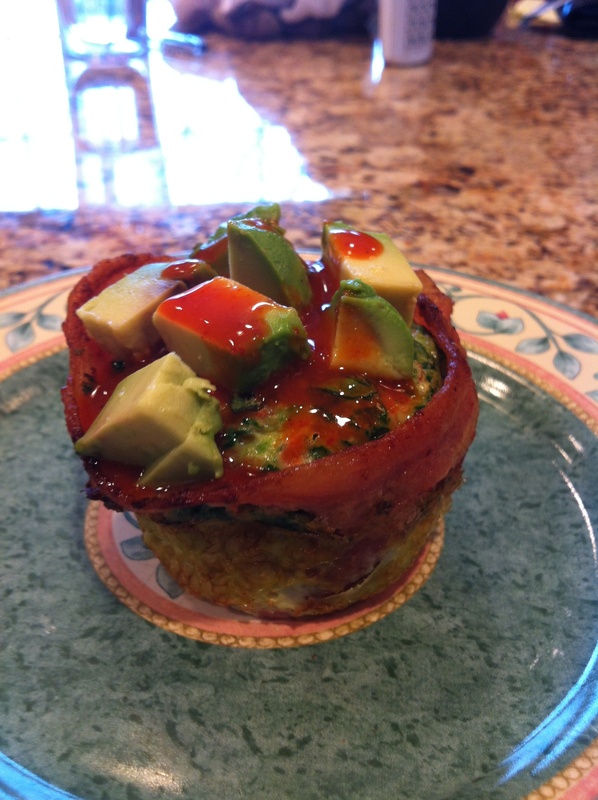 These omelet bites are a great portable breakfast that can be made early in the week and enjoyed for the next few days. You can experiment with the fillings but stick to the measurements of eggs and egg whites. If you are going to add cheese sprinkle it on at the very end so it can melt over the top. Enjoy! Here is a quick and easy dinner to make on a weekday night.You will find the recipe for the honey beer sauce below. The ingredients are pretty common and because it is a pan sauce you can have some fun experimenting with other ingredients. 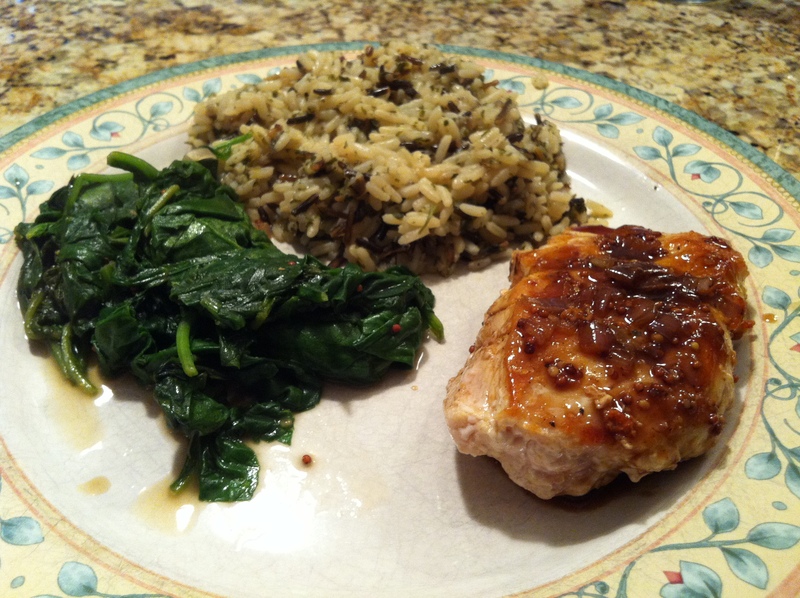 This chicken goes well with sauteed spinach and wild rice especially if you put some whole grain mustard in with the sauteed spinach. Enjoy! I have become a big fan of using rice noodles in Asian dishes. They are much lighter than pasta and have a great soft texture. I mostly use them when I make pad thai. However, last night I decided make a new dish using rice noodles. 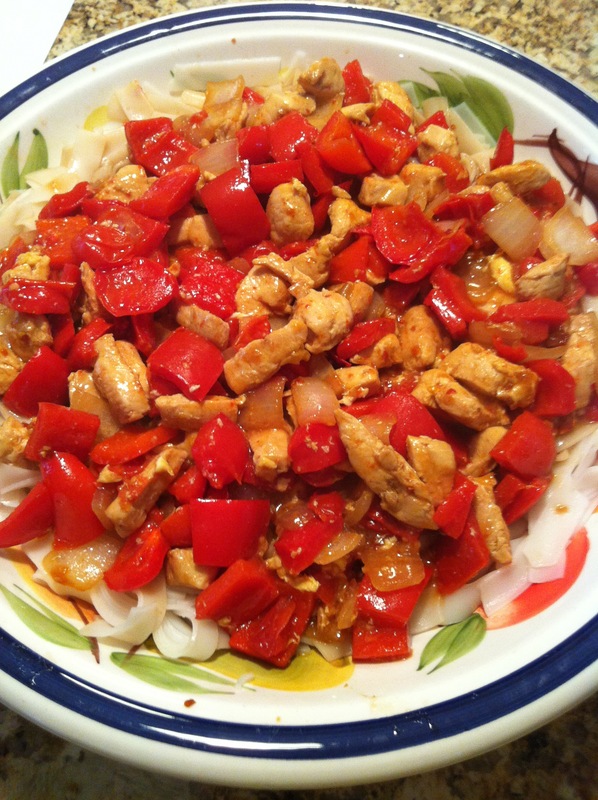 This dish is based off of the hot pepper noodles recipe from Bon Appetite. I was a bit skeptical of this dish when I started making it. I thought it would be overwhelmed by the chili garlic sauce but the sauce had a subtle heat and great flavor. The oyster sauce, soy sauce,ans chili sauce blend well together. This quick and easy dinner is great to make during the week. Enjoy! Tonight for dinner I made blackened chicken with a vegetable pasta. To make the pasta I took a few vegetables that I had in the fridge and sauteed them. I cooked some pasta and when it was done I tossed it with the vegetables. I’ve been working on this blackened chicken recipe for a while now, the rub works both with this method of cooking it and with grilling the chicken. I personally prefer the grilled blackened chicken but it was storming quite heavily today so I made it in a cask Iron skillet today. The rub delivers a good flavor and a subtle heat that doesn’t overpower the chicken. Enjoy! While living in England I grew to like a variety of Indian food. One of my favorite dishes was Tandoori grilled chicken. This recipe can be made on either a grill or roasted in the oven. When marinating the chicken it is best to let it sit for 24 hours to allow the flavors to fully develop and sink into the chicken. I have found that the chicken turns out best when grilled over indirect heat. I gave instructions for grilling over indirect heat in the recipe. If you are looking for a new grilled chicken recipe this summer give this one a try. Enjoy! I haven’t cooked with Szechuan peppercorns in a while and decided to throw together a Szechuan style stir fry the other night. I marinated the chicken in a mixture of soy sauce, rice wine vinegar, corn starch, water, and salt. I then put oil in a wok and heated it until it just started to smoke. 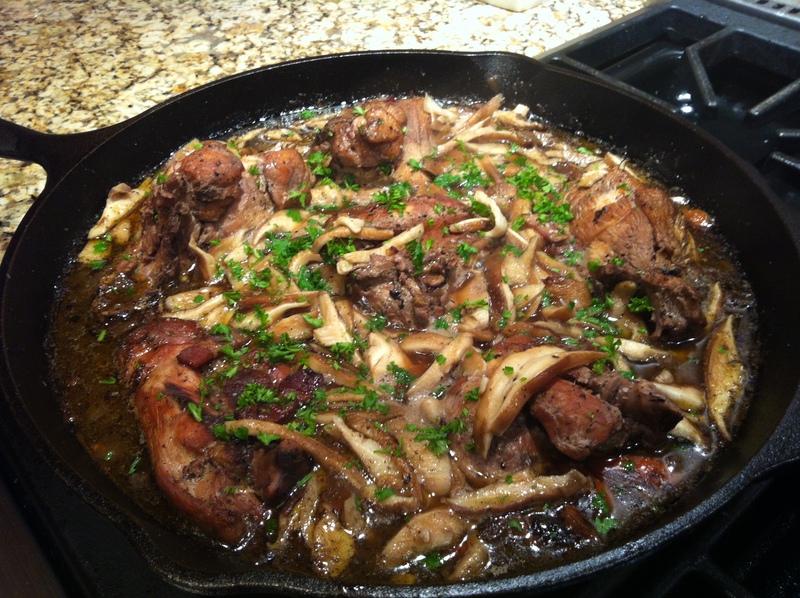 I added the chicken in batches and cooked it until it was done. I then added the Szechuan peppercorns and dried chili peppers and sauteed them for 30 seconds to a minute. I then added a bit of chicken stock, soy sauce, and rice wine vinegar. I reduced this mixture to thicken it a little. If I had uncooked veggies like snow peas or peppers I would have added them here to cook them. 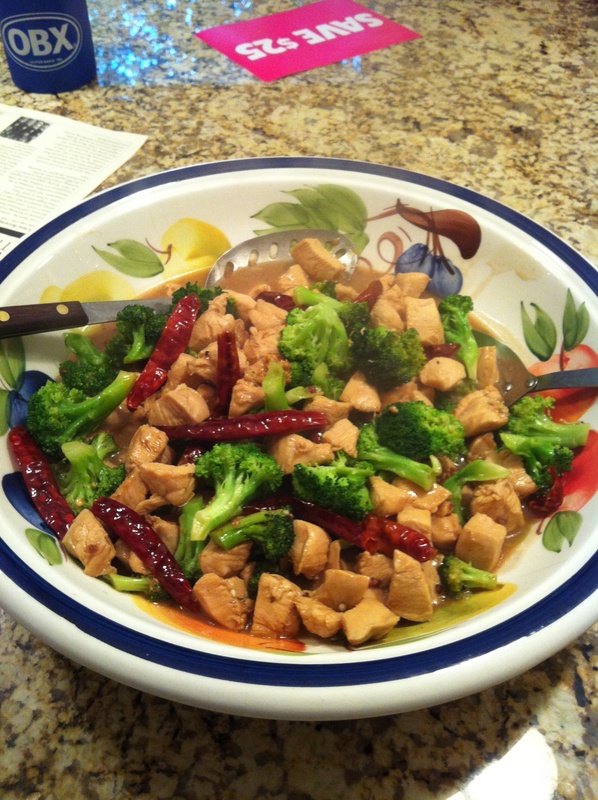 Since I was using steamed broccoli I added the cooked chicken and broccoli to the wok to coat it in the sauce. I then served the stir fry over brown rice. The stir fry turned out good and the Szechuan peppercorns gave the dish a unique sensation when eating it. If you have never had them before they cause a tingling or slight numbing sensation in your mouth. They can be hard to find, I had to go on Amazon to find them. With the nice weather we have been having I wanted to make use of the grill. This dinner combines one old favorite and one new favorite dish. My mom has made Summer Spaghetti my whole life and still makes it better than I have ever been able to. It is a great side dish to have throughout the summer. The honey bbq chicken wings have quickly become a summer favorite with my family. By cooking the wings over indirect heat they come out moist and tender and are healthier than frying chicken wings. The wings turn out best if you can marinate them overnight in hot sauce. Also cutting the wings into the drumstick and wing section can be time consuming. Get out there and grill and enjoy these two recipes! For Cinco de Mayo I decided to whip up a few Mexican dishes. The guacamole recipe is quite simple and very delicious. Just remember to use a good amount of lime juice to prevent the avocados from turning brown. If you do not feel like chopping all the vegetables you can just mash up the avocados and add fresh salsa. When making the refried beans I used a mix of ancho and chipotle powder but you can used whatever type of chili powder you like most. The center piece of the meal was the chicken enchiladas. While they take a little bit of time to prepare they are well worth it. Depending on the size of your pan this recipe will make 5-8 wraps. you can also serve this dish with yellow rice, my favorite is Goya. You will find the recipes below, Enjoy! Enter your email address to follow Smartchefblog and receive notifications of new posts by email.